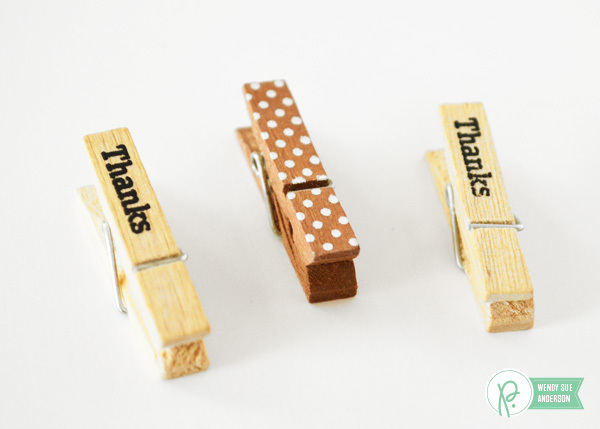 mini clothespins Archives - Pebbles, Inc.
Hello Pebbles friends! 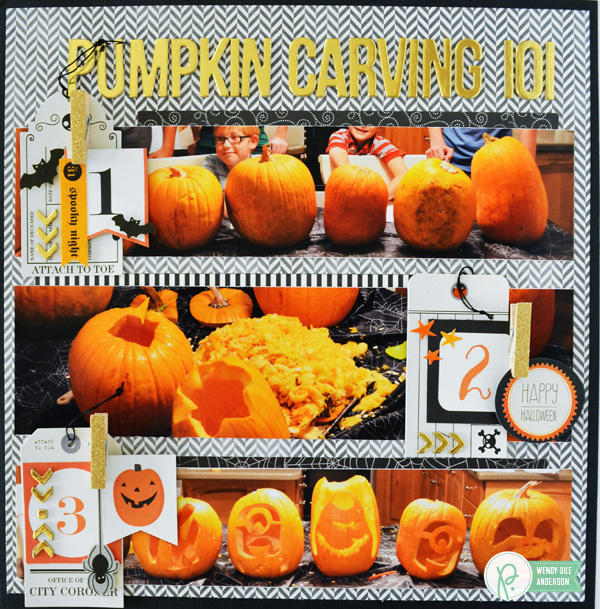 It’s Wendy Sue here with you today, sharing a layout all about our Halloween pumpkins from last year! 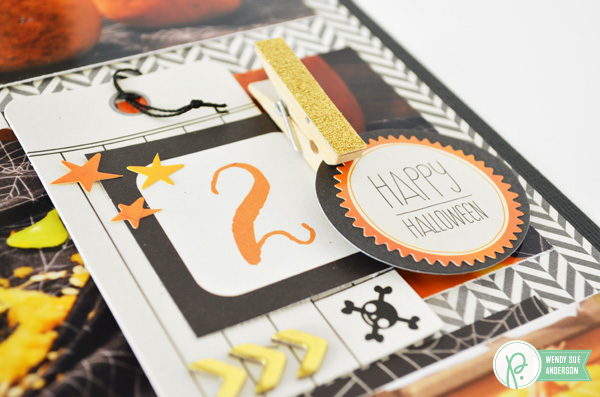 My assignment was to use mini clothespins on my layout…and at first I panicked because I wanted to create a Fall or Halloween layout, but those collections didn’t have any clothespins in them. 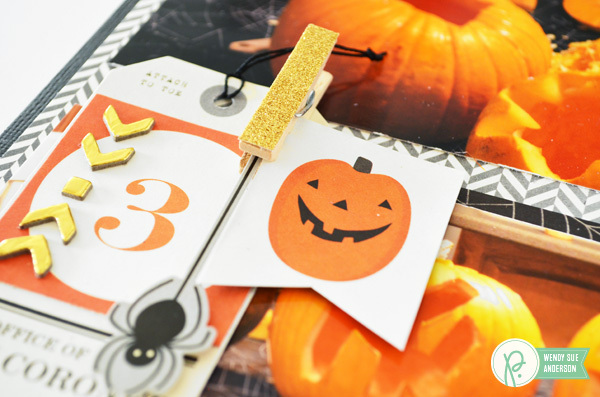 Then I had one of those “shoulda had a v-8” head-slapping moments and realized that I could alter any clothespin to coordinate with the collection I wanted to use, which, in this case, is the Thirty-One Collection! 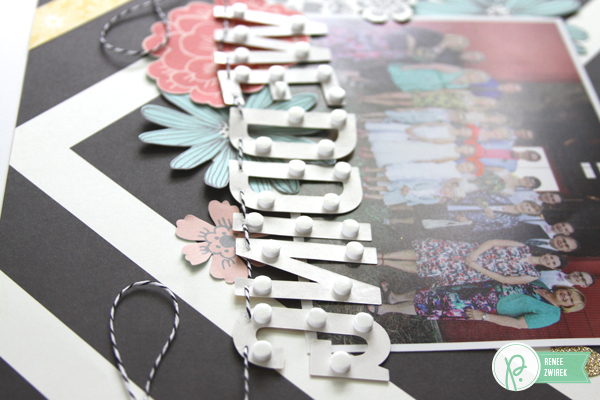 As you can see, I used clothespins to anchor each collage of numbered tags featured over each photograph. 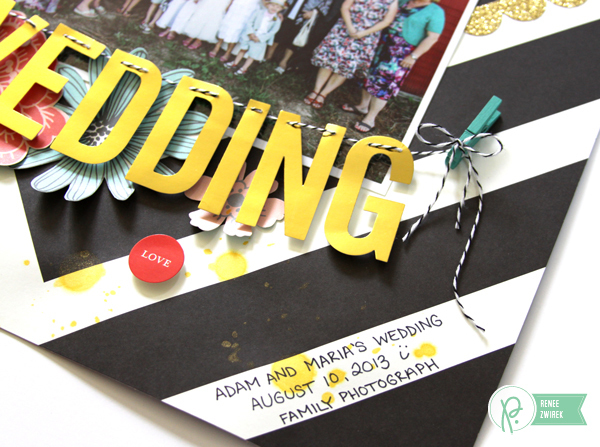 My first inclination was to use patterned paper to embellish the wooden clothespins, but after adding the gold Thickers for my title, I changed my mind. 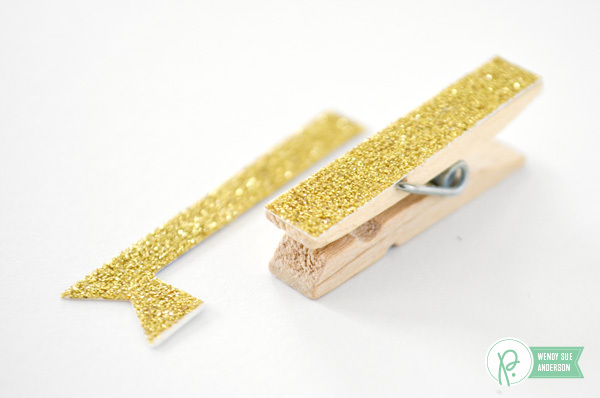 I really like the “POP” from the gold glitter addition to the clothespins. 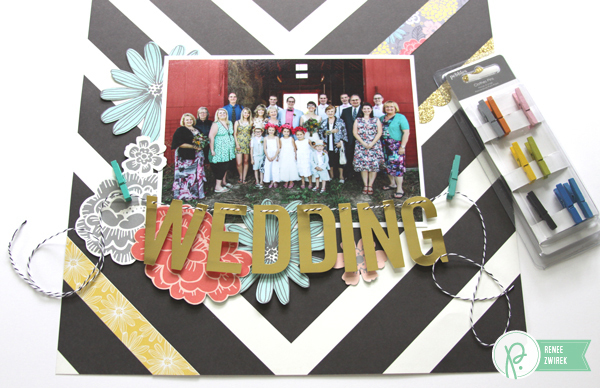 First, choose any mini clothespin you’d like to use. 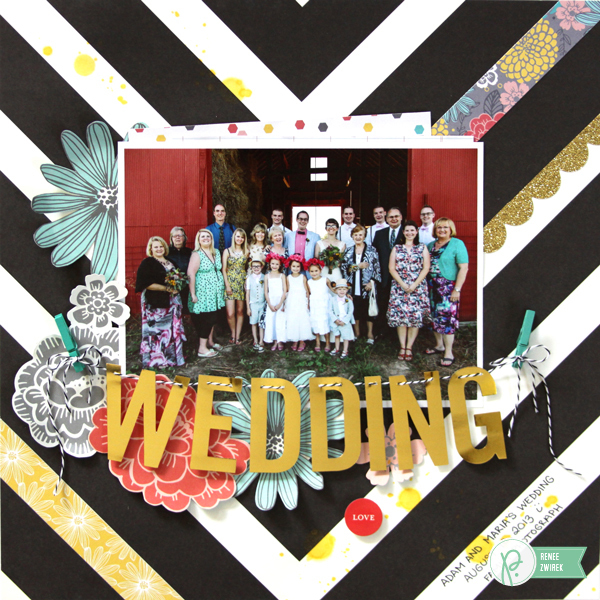 Here’s a link to all of the styles and colors available from Pebbles: Clothespins! 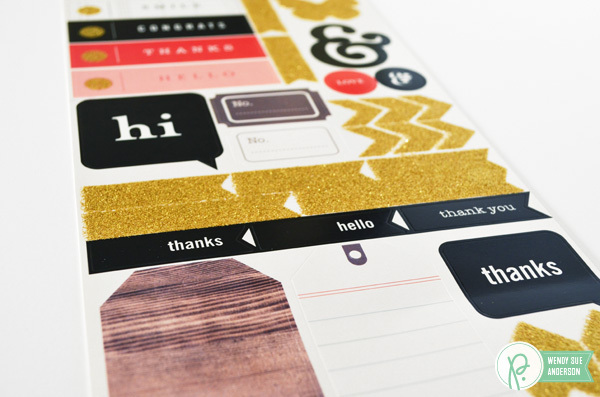 Next, choose a sticker or patterned paper that coordinates with the products you are using for your project. 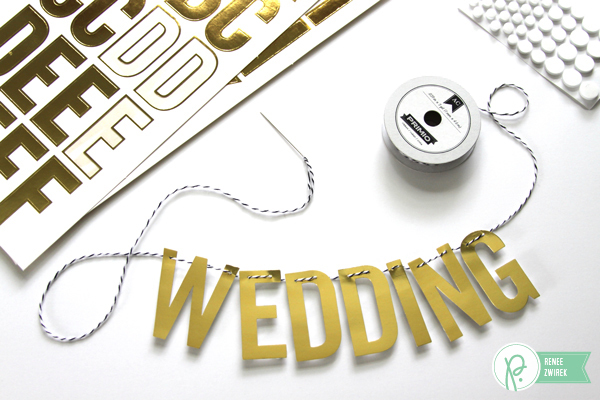 In this case, I chose the Phrase & Accent Stickers from the Jen Hadfield Home + Made Collection – because I wanted to use the gold glitter banner stickers to cover my clothespins. After removing the sticker from the sheet, I simply flipped it over to the back-side and traced around the clothespin with a pen. 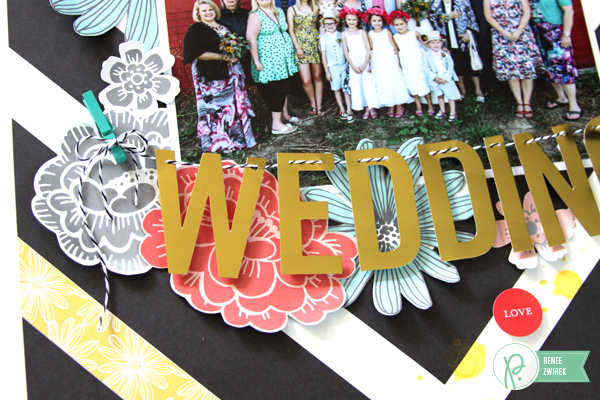 Next, simply cut the piece from the sticker (or patterned paper). 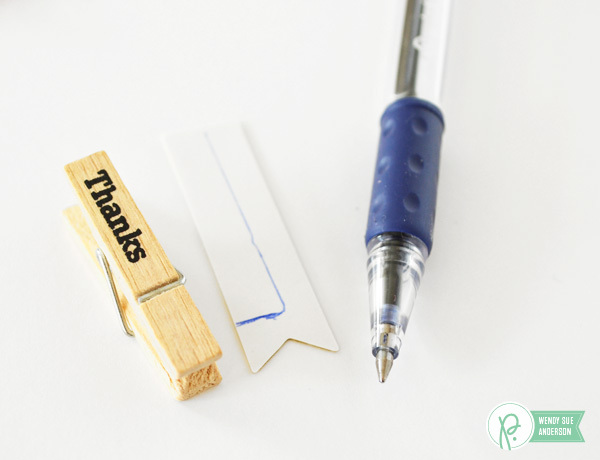 Finally, attach the piece to the top of the clothespin. 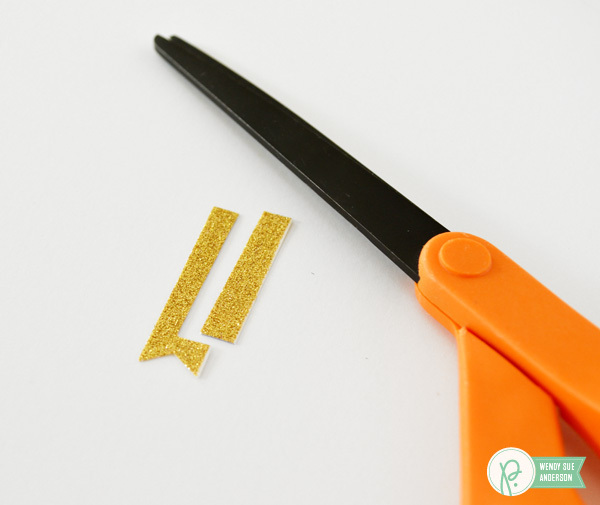 You could cut away the piece that goes over the wire of the clothespin, if you prefer, but I like the nice, smooth surface. And that’s all there is to it! 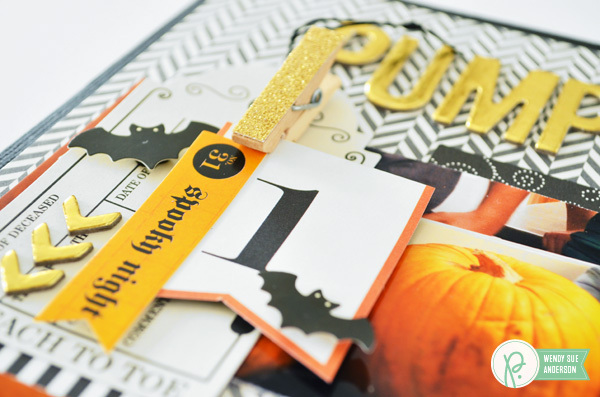 Now you can have perfectly coordinating clothespins for any project!